Beyond Action. Beyond Adventure. Beyond Your Wildest Imagination! Crisis Vector is an action-adventure story about family, loss, and time. 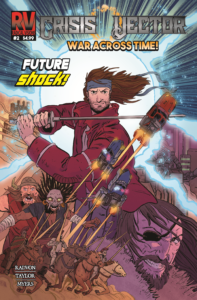 Told across three over-sized full-color issues, Crisis Vector blends Jack Kirby’s Fourth World, Japanese roleplaying games, and ’80s rock operas together into an incredible epic tale with memorable characters and non-stop creativity. Created and written by Erik Radvon, featuring art by Samir Simao and Ross Taylor, with lettering by Micah Myers. Crisis Vector #1 Selected as “Pick of the Week” by the New Number One podcast! Listen here. 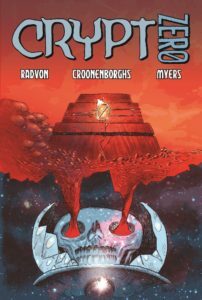 “Crypt Zero” is an independently published comic book written and produced by Erik Radvon with art by Rob Croonenborghs and letters by Micah Myers. Spaceman-for-hire Commander Dal is sent to a remote planet on a scouting mission. He finds an ancient crypt and a whole lotta talking dead things. A pulpy sci-fi thriller in the classic EC Comics tradition. All orders are shipped bagged, boarded, and signed by the author! Read digital copy for FREE! 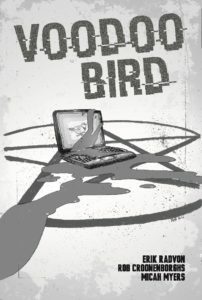 “Voodoo Bird” is an independently published comic written and produced by Erik Radvon with art by Rob Croonenborghs and letters by Micah Myers. Inspired by the long-running “Tharg’s Future Shocks” segment found in British comic magazine 2000 A.D., this short story tells the tale of a hot new app that goes viral and becomes an instant global obsession…with a little help from ancient black magic. It’s Flappy Bird meets Invasion of the Body Snatchers! Buy Voodoo Bird via the link below. All orders are shipped bagged, boarded, and signed by the author! 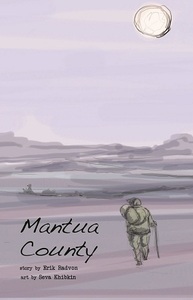 “Mantua County” is an original comic story written by Erik Radvon with art by Seva Khibkin. Based on Shakespeare’s most enduring work, Romeo and Juliet, the comic tells the unknown tale of the mysterious apothecary. 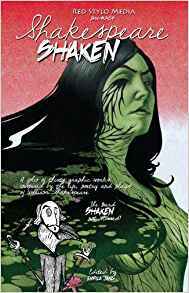 Published by Red Stylo in the “Shakespeare Shaken” anthology collection and also available for digital download. “The Call Up” is a comic story about an untold tale of the American Revolution prior to the Shot Heard ‘Round the World of 1776. Two years before the war began, the citizens of Worcester County in Massachusetts removed themselves from British rule through a display of courage and civil disobedience. Written by Erik Radvon, art by Noel Tuazon, and colors by Rob Croonenborghs. 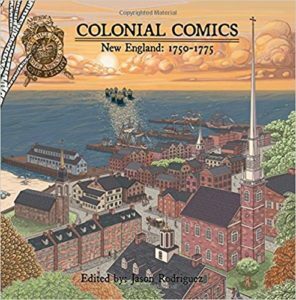 Published in Colonial Comics Vol II: New England, 1750-1775 edited by Jason Rodriguez. 2016 Harvey Award Nominee for Best Anthology! 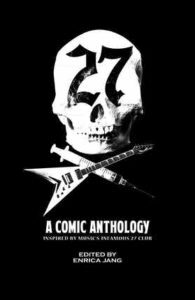 Stories of musicians and rock stars who met their fate at the mystical age of 27, featuring the essay “Generation Nirvana” by Erik Radvon. Special hardcover edition with foil cover / slipcase / numbered and signed. 242 pages, full color.